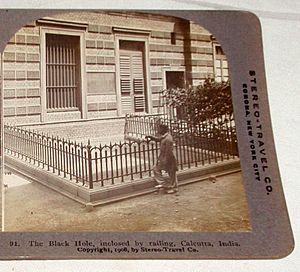 Black Hole of Calcutta was a dungeon in old Fort William, Calcutta, India. 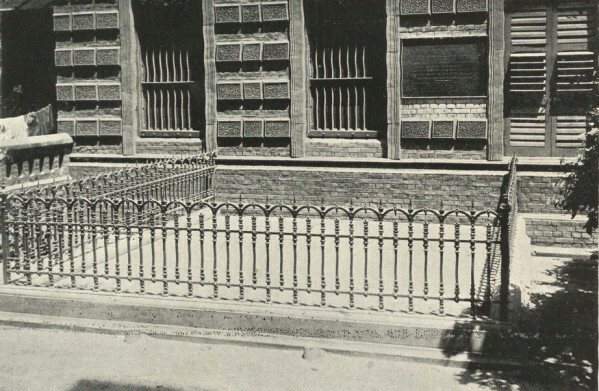 It was 18 feet (5.5 metres) long and 14 feet (4 metres) wide, and had two small windows. The fort was built by the British to defend their trading interests in Calcutta. During hostilities in 1756, the fort was captured by the army of the Nawab of Bengal on 20 June. John Zephaniah Holwell, a British eyewitness, reported that those taken in the capture of the fort, numbering 146, were confined to the dungeon, and that only 23 survived. The story was told by survivor John Zephaniah Holwell, a survivor. However, 146 people could not have fit in a room of 24 x 18 feet. Today most concede that Holwell greatly exaggerated the number of captives. The British captured and killed the Nawab. 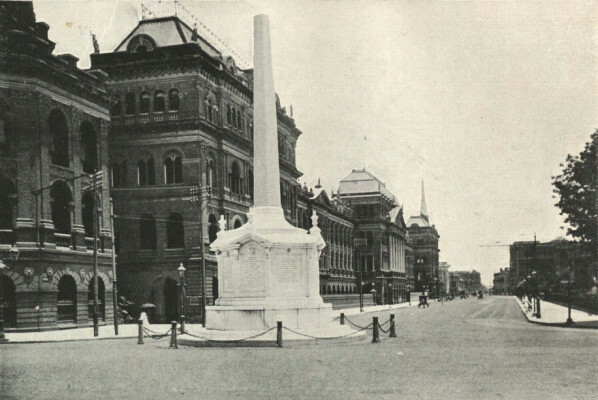 An obelisk was later raised in memory of those who died in the Black Hole. Holwell's account of the incident has been challenged by modern historians and scholars. Black Hole of Calcutta Facts for Kids. Kiddle Encyclopedia.